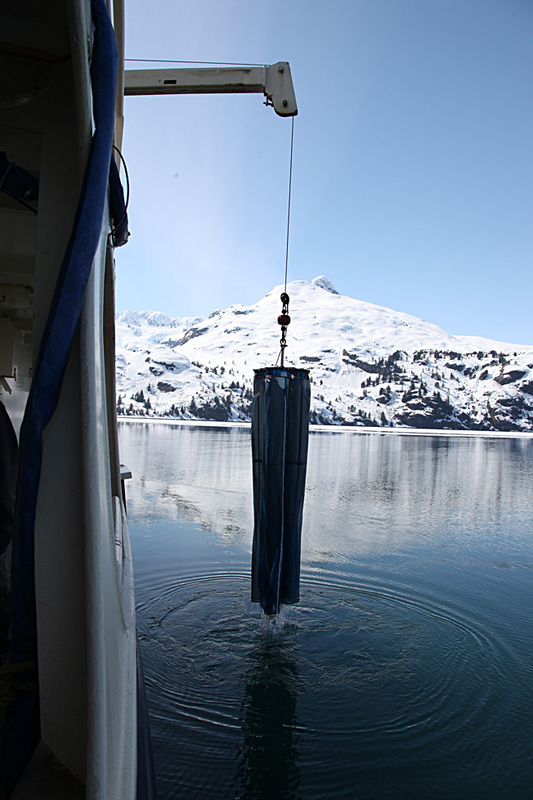 The physical environent is assessed using and electonic device thet measures Conductivity, Temperataure and Depth (CTD) at high resolution in real-time. Additional sensors can be added to this system, for example, to measure how clear the water is (transmission), how much plant pigment is in the water (fluorometer), how much light is available for plant growth (PAR), or how much oxygen is dissolved in the water (DO). 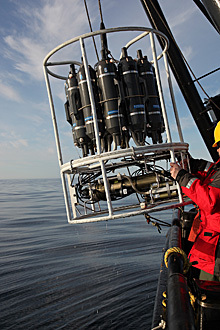 The CTD is usually integrated into an array of 12 sample bottles that can be closed on command to collect water for chemistry (nutrients, ocean acidification), and to analyize for phyto-plankton and other protozoans (microzooplankton). 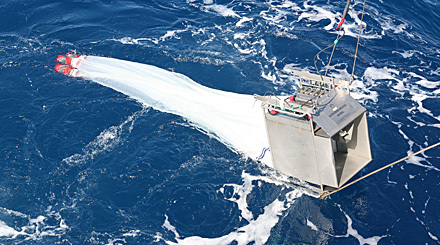 During days, the smaller zooplankton are collected from 100m to the surface using a simple Vertical net array with paired nets of mesh sizes 0.05 and 0.15 mm. At night a more sophicated "Multinet" system is towed behind the ship at ~2 knots to catch the larger and faster zooplankton such as krill. This electronically-contolled device can take up to 5 samples with 0.5mm mesh, and allows separation of the upper 100m of the ocean into 5 layers, each 20m thick. Preliminary data from the CTD on temperature and salinity is available as soon as a cruise ends. 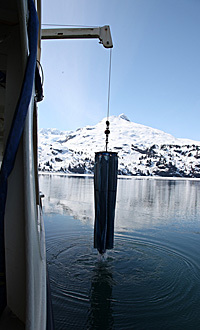 Chemical and biological measurements require weeks to months of analysis before data is available for public distribution.